Frizz can strike unexpectedly, and no girl should be caught off guard. 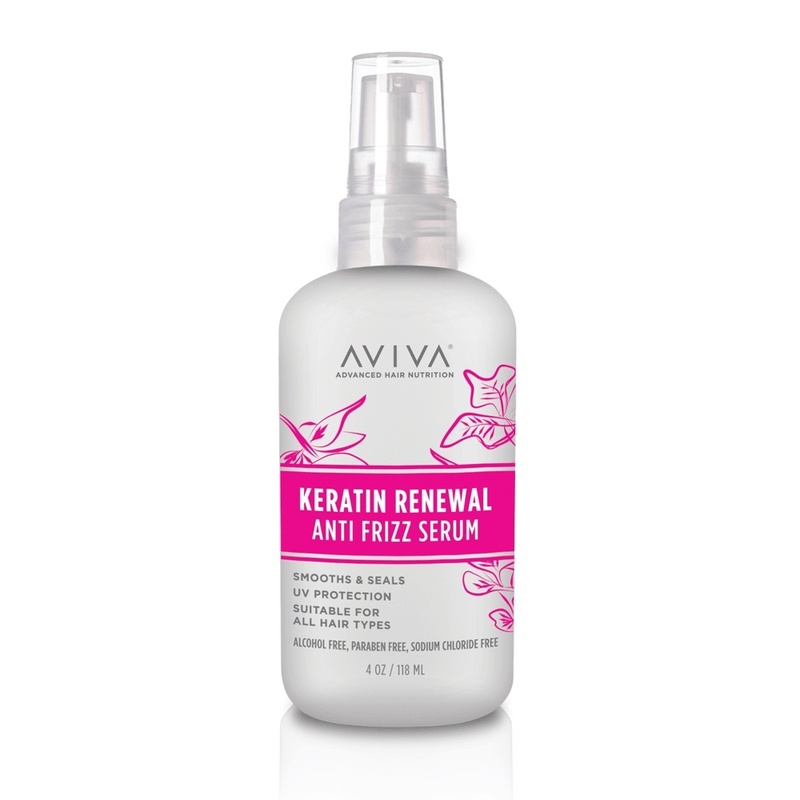 Secure your style against strays with Aviva’s Keratin Renewal Serum. This keratin-infused leave-in serum seals the cuticle to tame any hair style, whether you sport a straight bob or the wildest curls. Aviva keeps your strands frizz free so you can rest easy and shine. Dispense 1 pump of Serum into your hands. Use more if needed, depending on your hair type. Apply uniformly to damp or dry hair. Do not rinse. For the sleekest look, style using brush and blow dryer. Water/Aqua/Eau, Hydroxyethylcellulose, Cetrimonium Chloride, Guar Hydroxypropyltrimonium Chloride, Cetearyl Alcohol, Polysorbate 60, Phenoxyethanol, Butylene Glycol, Keratin, Methyl Gluceth-20, Polyquaternium-59, Amodimethicone, Fragrance/Parfum, Caprylyl Glycol, Sodium Benzoate, Ethylhexylglycerin, Hexylene Glycol, Panthenol, Octoxynol-40, Isolaureth-6, Propylene Glycol, Hypnea Musciformis Extract, Citric Acid, Methylisothiazolinone, Limonene, Hexyl Cinnamal, Linalool, Butylphenyl Methylpropional, Citronellol, Benzyl Salicylate.